Responding to Sire of Insanity ? 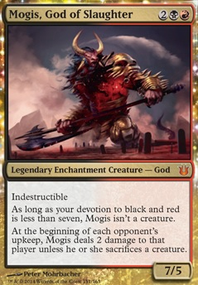 @maff98 Ok. Well, Grenzo is a linear fast combo deck, but it's not blue or green, so that means it has consistency problems and can't interact well with other decks, and also can't defend its own combo well against interaction from other decks. 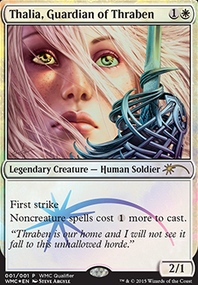 Linear fast combo decks typically include a lot of dead combo cards that you actively don't want to draw. This makes them less consistent and less reliable than decks that don't. Xantcha doesn't have these problems to the same extent since it's not all in on one plan. There's a lot of different ways to get to a win, and while it's still Red-Black, so Xantcha can't really defend her own combos any better than Grenzo, Xantcha has backup plans that are extremely good. The kiki-jiki combo is one of my least favorite and easily disrupted; by basically any counterspell or removal, or any creature hate that prevents attacks or activations. While the WGD combo in Xantcha is also fragile, it's way faster, and can win the game at instant speed, which enables you to more easily play around your opponents' interaction. 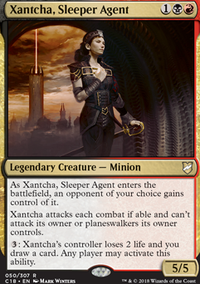 Anyway, Xantcha should be a superior choice to Grenzo Doomsday in any pod where there's decks with interaction. (And to be clear, most top-tier decks have a lot of interaction.) I think you'd only want to play Grenzo over Xantcha into a pod of other non-interactive combo decks, where basically the only way each deck has to win is to go off before anyone else. 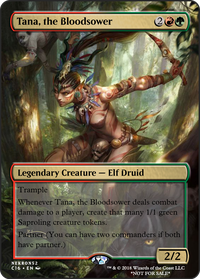 And even then, if it's a pod of green-based combo decks Xantcha's many pyroclasms make that a decently favorable matchup. Anyway, I don't think pods of all uninteractive combo decks are that common; and I also don't think they're that interesting to actually play in; but if you're in a tournament or whatever you can't really choose your opponents. 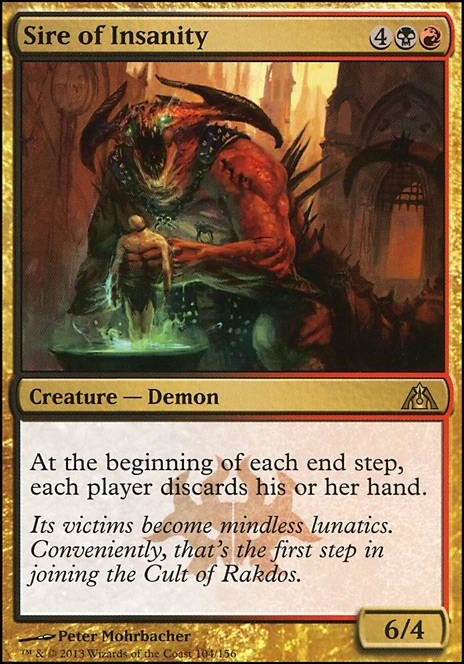 Oh, when I say "Xantcha can do Stax," I just mean reanimating Sire Of Insanity which is a pretty powerful stax/prison-style play. If you can do it turn 1 or 2, you basically always want to make that play; it's extremely strong against almost all decks. But, the decks are very different playstyles. As I've said, I'm not a fan of the uninteractive linear combo decks (I get bored of them), but if it's what you like, that's ok! Lion's Eye Diamond is pretty good as a means to discard your hand and get reanimation targets, course you only want to use it when you have a tutor or exhume on the stack. Smallpox is a rather good option to self discard as well, and it gets better with the bigger the playgroup. Now outside the other suggested creatures on your forum post (all are rather good, especially the 4x Storm Crow ) there are many rather good creatures you can run. Sun Titan can be quite fun with your enchantment reanimation spells. Grave Titan is just a beast you can not only reanimate, but also can realistically ramp into with some double ritual hands, even if the table answers it you at least have two zombies. Consecrated Sphinx draw a lot of cards. Sire Of Insanity if the ability goes off turn 1-3 most decks will fold. 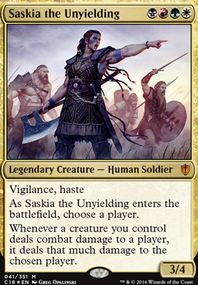 Sigarda, Host of Herons a preserver that's just better to reanimate than a 2/1 body. hmm if I wanted to I could easily spend a good hour just typing up good creatures to reanimate or really good spells to ramp, tutor, or disrupt opposing threats (you may want some way to deal with hate for your deck), but my eyes hurt and should have slept a couple hours ago. 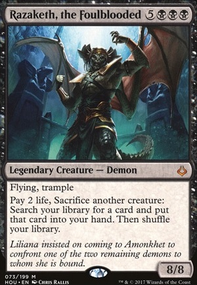 you can absorb plenty of info by looking at legacy reanimator lists. Made a quick update for the deck addressing the comments I said above! Still considering adding in Smoke and more boardwipes, but for now I've removed Necrogen Mists , Sire Of Insanity , and Pain Magnification to add in Pestilence , Glacial Chasm , and Expedition Map . 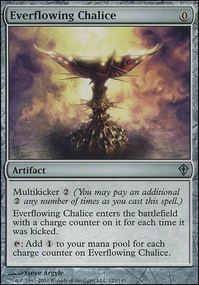 Glacial Chasm should help us stay alive, Pestilence should help keep the board clean of creatures with <4 toughness, and Expedition Map should help us find Cabal Coffers or Urborg, Tomb of Yawgmoth to help our mana out. I'm going to see how these changes go and then maybe change the deck a bit more after some testing.